The prerequisite for our Certified Yoga Therapist Diploma (CYT 1000) is an RYT 200 (or equivalent) with 100 hours teaching experience over at least one year. In Term 1 of the Certified Yoga Therapist Diploma, you will learn how to conduct Yoga Therapy in small group classes, focussed on managing a wide range of physical-emotional conditions, using a breath/ meditation-restorative-alignment centred approach from the Sri T. Krishnmacharya lineage. At the end of your practicum, post Term 1 at home, you will be eligible to register as an RYT 500 if you already have your RYT 200 through Yoga Alliance. Yoga Therapy International’s teaching and training in the fields of Yoga Therapy and Therapeutic Yoga are related to our membership and program accreditation through the International Association of Yoga Therapists, not derived from our status as an RYS 200 and 300, or from Maggie Reagh’s status as an E-RYT 500 with the Yoga Alliance Registry. Vancouver is a one of the larges t Yoga centres in the world. As such, we have a wealth of Yoga Therapists working with a wide range of conditions both in group and private settings. 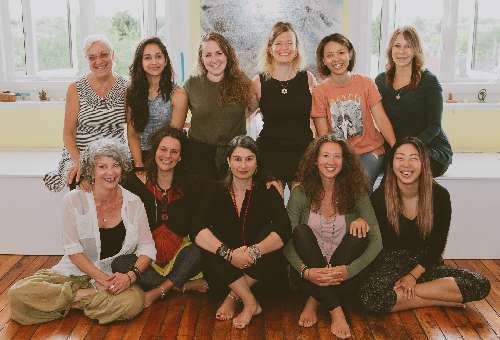 You will be connected to the best practitioners in Vancouver through both in person workshops while in Vancouver and practicum opportunities in their specialties, including Yoga Therapy for Disabilities, Cancer, Addictions, Trauma, Chronic Pain, Arthritis, Scoliosis, MS, PD, Stroke, Aging, and so on. Class sizes are limited to 10 to 12 students to allow for individualized attention. Expect to have a very close relationship with Maggie Reagh, who is not only the Program Director but your main teacher. Once you are a student with Maggie, she is committed to being there for you as you develop as a yogi and therapist. Even graduates often continue to study with Maggie and/or seek her advice on cases long after they have completed their formal studies. This committment is the traditional student-teacher relationship, which Maggie enjoys with her beloved teachers in India and shares with her students from around the globe. This program is an invaluable training for anyone wanting to feel more confident in tailoring a yoga practice to meet any student where they are in their life, or what their challenges might be. I can't recommend it enough!
" Yoga Therapy International’s teaching and training in the fields of Yoga Therapy and Therapeutic Yoga are related to our membership and program accreditation through the International Association of Yoga Therapists, not derived from our status as an RYS 200 and 300, or from Maggie Reagh’s status as an E-RYT 500 with the Yoga Alliance Registry."